Maybe you've heard the words that you never succeed in life by a loved one, a former boss or even an ex. Maybe the enemy has lied to you and told you that you weren't good enough and you actually believed it. Did you believe him when he told you that you weren't a child of the King? Or maybe, you did something and feel that God could never forgive someone like you. Well, truth is that Amena knows first hand the struggles and seasons of what it's life to experience broken pieces. She offers her story on the loss of a baby and her desire to get pregnant. This completely spoke to my heart and she offers the reader what it means to stick it on through the thick and thin of the journey when life isn't easy. I have heard Amena brown speak through IF gathering, so I was excited to read her book, but this is my first read by her. This book is fantastic! It feels like I am sitting down over a cup of coffee talking about real life. This book was very easy to read and I read it fast. I give this book 5/5 stars. Amena Brown is a poet, speaker, author, and event host. 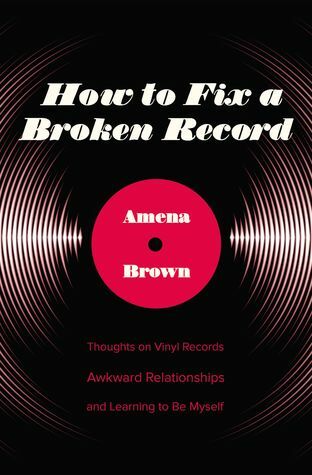 Named one of Rejuvenate Magazine’s Top 40 under 40 Changemakers, Amena is the author of five spoken word CDs and two non-fiction books Breaking Old Rhythms and her latest release How to Fix a Broken Record which releases in November 2017. 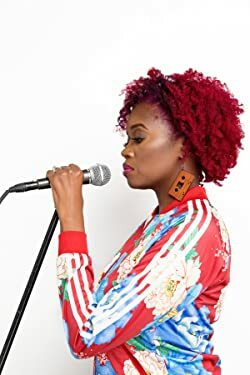 She has performed and spoken at events across the nation such as Creativity World Forum, IF Gathering, and Chick-fil-A Leadercast, as well as touring with Gungor, Ann Voskamp and the Voices Project Historically Black College and University Tour.